If you haven’t heard of this guy you are going to hear of him a lot more real soon. Sean Faris was cover guy on Men’s Health and his role in the movie “Never Back Down” and appearance in the tv series “Vampire Diaries” is paving a whole new road for upcoming thriller and actions flicks. 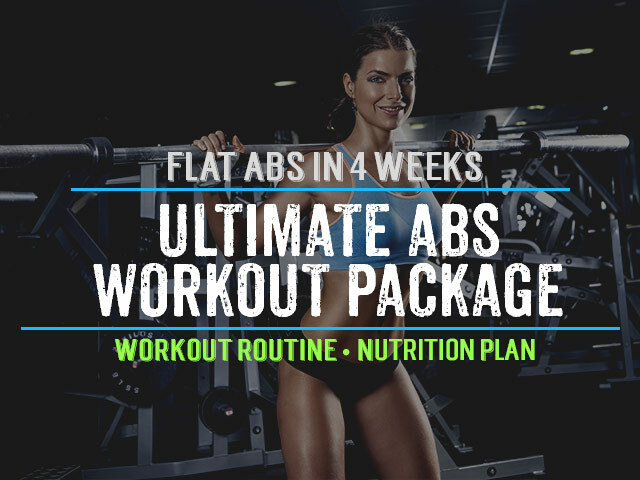 Sean’s six pack abs are based on a very strong fundamental knowledge of what it takes to win in the gym and this article is going to highlight his most valuable experience. If you think he’s genetically blessed you might have a wake-up call once you see his determination and devotion to be in the best shape of his life. I love his advice on starting small! Instead of doing 3 sets Sean has had success with starting at 2 sets of any exercise. I believe you too will find this makes quite a difference in the gym and not overwhelming your body with too much at once. Free weight is a great way to start and even focus on as you become very advanced in your workouts. I use it with all my clients because free weights not only help balance the muscles in the left and right side of the body but also make you focus on tightening your core and amping up your time in the gym. Great way to add variety and build up the strength of a weak muscle is by trying to hit a certain number of reps in one exercise no matter how many reps it takes. Time and time again we all see this in the gym…guys going too heavy and sacrificing form. The only thing is they are cheating themselves since proper form builds strength and muscle size quicker than cheating with heavier weights. Doing the same routine time and time again gets boring after several weeks so adding variety every 4 weeks is essential and if you can add in different sports you are also going to keep things much more exciting. Challenge yourself with trying different sports and realize that everyone is a beginner at some time! Key here is to start out with 2 sets of 8-12 repetitions and keep adding either reps or weight each time. Therefore this is a basic workout that you must build on over time, but it’s most important that you improve your form and strength before advancing by only doing 3 exercises/day which involve the body’s most major muscle groups. This is when you can be creative with your cardio session. Try 30 minutes running, high intensity interval training, kickboxing, jumping rope, biking, hiking or any other exercise which really accelerates your heart rate! Disclaimer: This workout routine is in no way associated or endorsed by Sean Faris. It is only a simulated routine that is developed to provide similar results. As you’ll see above this is a good foundation for a workout plan which you can quickly accelerate and build up on. As Sean Faris recommends just keep pushing yourself in each day and after 4 weeks make sure to change it up completely. 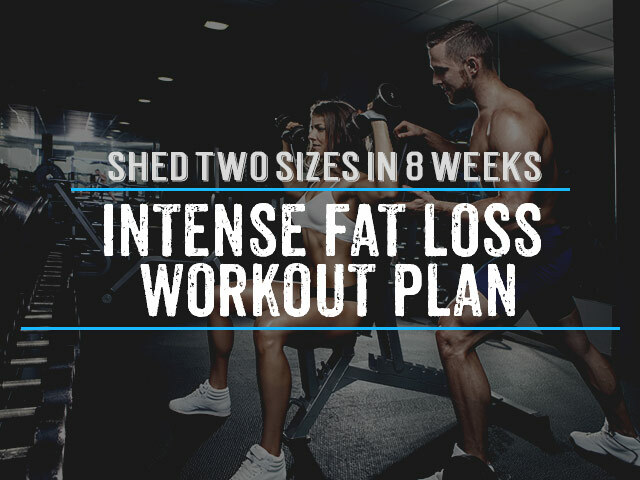 You can reference the workouts and training section of this site for more advanced workouts or other exercises you can add to this routine to target your weakest muscles. I have been working out for since as long as I can remember. I have always been into fitness but somehow I never really went all the way. I am not too tall, a decent 5 ft. 8”, so keeping that in mind I never desired a very muscular body. Being a vegetarian, I realized that I would be lacking in the amount of protein consumed per day, especially because most of my Indian diet consists of carbohydrates. While I have always believed that one does not require meat or supplements to build a strong body with lean muscles, I decided to give protein supplements a try to counter my what-I-am almost-certain protein deficiency. I have been consuming that since two months now, and I got to doing some research on protein supplements and workouts and that’s what lead me here. Do you suggest others to consume protein supplements? Absolutely, protein supplementation is a great way to get all the amino acids your body needs to recover from training especially when you go more intense. The best part is that it also is low in calories so you can continue to get your carbs from natural foods and fruits which is what I always prefer. What do you need help with?! So 160pounds i think been hitting up gym for 3weeks now with the work out you gave here. But the problem is i dont know if i should use supplements and how to convert my body fat into muscle been doing the same routine since last last week. 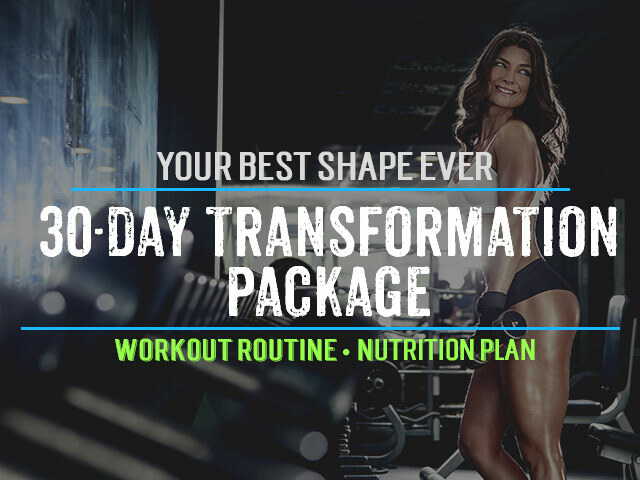 3 weeks is not very much time, you should be increasing your intensity each workout and go for 6 weeks before thinking of switching to another program however, the supplements recommended would be a good place for you to start with as well if you want some help getting results as long as you’re having a pretty clean diet as well. I’m sorry what advice other than this workout are you looking for? hi sam i am 20 5’10 and weight 141lbs what is my ideal weight and i am hiiting the gym from past 3 months i go to gym 5-6 days a week i have gained a bit of muscle i want more improvement i want defined muscles with broad shoulder’s i take serious mass and whey protein !! Probably in the 160lbs range, so keep at it! Hi Sam, I’m 25, 5’11 and weight 240lbs and I want to be around 175lbs of muscle. Do think this workout would work for me? I’m a beginner. You can go for this routine and just start lighter and build your way up until you can do it all. Let me know how it goes! Hey Sam, im 22, 6’2 and 180 lbs, i was at 150lbs about a year and a half ago, and have been going strong right from the start. Im starting to really look buff, but want another 10lb gain of muscle, not fat. Whats your suggestion on a good routine for someone thats already put on weight and muscle, and wants to take it one step further? should i keep taking supplements? or just focus on eating right. Any feedback would be appreciated! thanks! ps: Sean Ferris in never back down was my inspiration to get fit. When the movie came out, i knew i had to get his same build. do you know his body fat percent, height and weight in this movie? i am currently 18 taking part in training 8 times a week which includes football and rugby training, however i find it hard to lose weight even though i do training all the time and im on hydroxcut… do u have any ideas on what i sohuld do??? Start focusing more on your diet, 6 meals a day smaller portions with lean meats and veggies as the biggest component. Protein shakes are good too but you can adjust their quantity, but I like to have one or two a day. Hey Sam, I’m Kenneth, I’m 16. Dude, I work out and all, but I am so not gaining any weight. I actually lose weight. I don’t wanna take those protein vitamins and stuff. I like to stick to plain balanced diet, but more on proteins. Can you give me a tip on gaining muscle mass? Should I eat before or after? Hi Kenneth, you should eat before and after to add muscle mass. Once you are about 18 and have fully gone through your growth squirt you can also go heavier with your weights aiming for about 6-8 reps per exercise where the last rep is almost impossible. I wouldn’t advise against supplementing with protein though, whey protein is extremely beneficial with muscle growth. Hey Sam, one more question. Does Sean Faris work his upper chest or lower chest more? Because I want a chest like his. So how do I get results like that? Try adding dumbbell flyes and decline chest press for greater chest definition. Hi, i am 18 and work on a farm so am pretty fit, i am 5.11 and about 161 lb and about 8% body fat. But although my legs are very muscly i find it really hard to gain muscle weight on my chest and shoulders. I am taking a protein shake after my workout, and work out 4 times a week for about 50 mins, in my own gym using free weights. But after about 6 months of working our in this way, i seem to have just toned up rather than put on a lot more muscle. I have progressed to be bench pressing 73 kg, and do a lot of upper body excersises, but as i say still have a relatively small chest, and narrow shoulders…do you have any suggestions on how i can get a bigger upper body. Hi Luke, you may want to increase your protein intake a little more by having another shake pre-workout, 1-2 hours before. Also although you are not wanting to build too much muscle in your legs it really is important to also work out your legs as this stimulates your body to produce more growth hormone. For size you should go about 6-8 reps where the last rep is almost impossible. Thanks Sam, il go and give it a go right now. But thanks for your help. I have been trying to do 10-12 reps on everything, and once i can do 13 i will add weight. But i will try 6-8, thanks. And a very interseting point on keeping the legs worked, i will try to incorporate some light weight squats and lunges to my work out. I took my workout from a technique employed by daniel craig, with picking two excersises e.g. bicep curl, and tricep extentions, and doing alternating sets of 10 of each with no rest untill i have done 3 sets of each, and then having a 2 minute rest and then doing the same with two new excersises….but obviously that was tailored for him not me, so is that tecnique good for someone looking to gain weight? Thanks very much for the tips, il let you know how i get on in a few weeks. Hi Luke, no problem. You can do supersets (i.e. 3 sets with no rest) but keep in mind that this will be more of a toning and definition style of workout. If you want to add mass, 6-8 reps should be so exhausting that you need at least 30 seconds before you do the next set.